The migration is heading towards the Western Corridor of the Serengeti as the long and heavy rains set in. 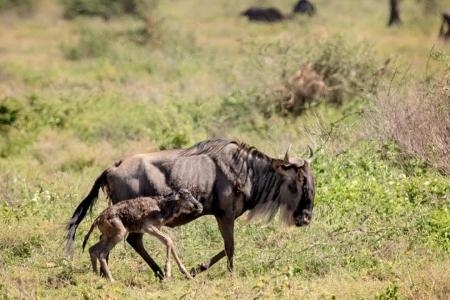 It is a slow plod through scattered woodland and long-grass plains as the herds will be streaming past the Moru Kopjes and shadowing the Mbalageti River. 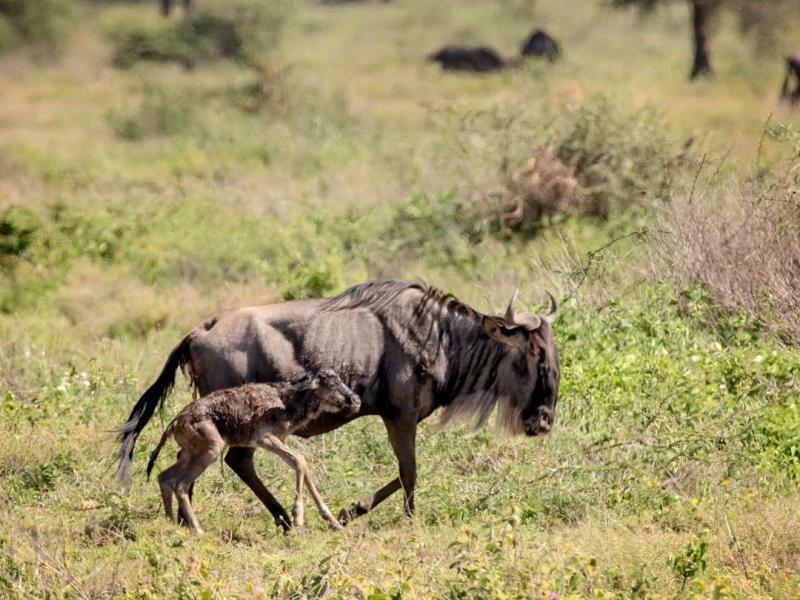 Patty Doublet witnessed a wobbly wildebeest calve during her morning game drives. 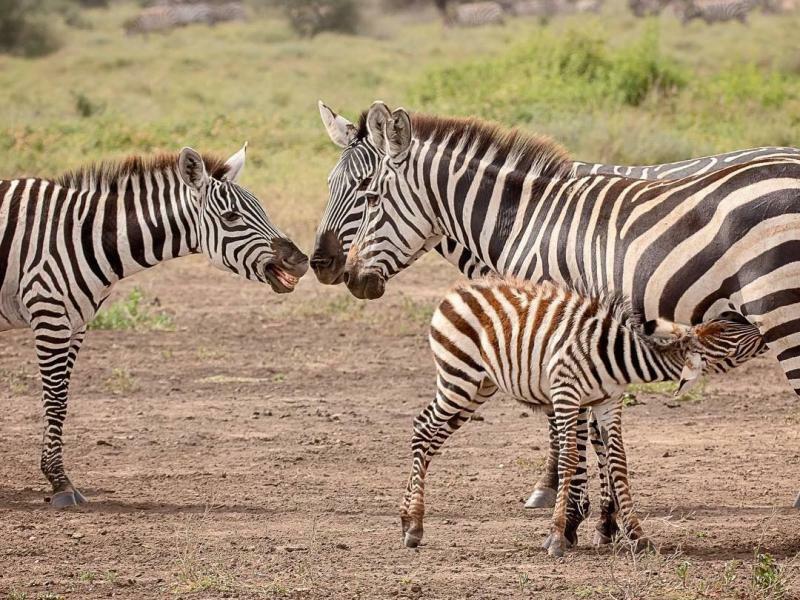 Where to be: Tucked into the Moru Kopjes, Dunia Camp has a lion’s eye view of the plains while the Serengeti Serena Safari Lodge has an equally panoramic outlook. 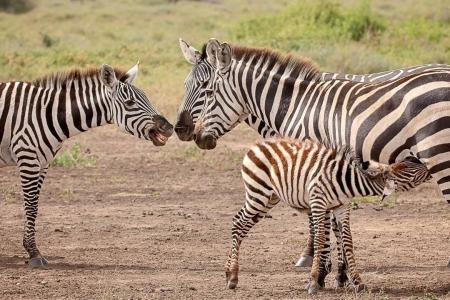 Both properties are well placed to intercept the Migration as it trundles westwards, but be warned that heavy rains at this time of year can reduce tracks to quagmires and make game drives a challenge. Also, consider the Serengeti Sopa Lodge and Seronera Wildlife Lodge – both are located near permanent water with an excellent resident game.